Proteus doesn’t care about you. 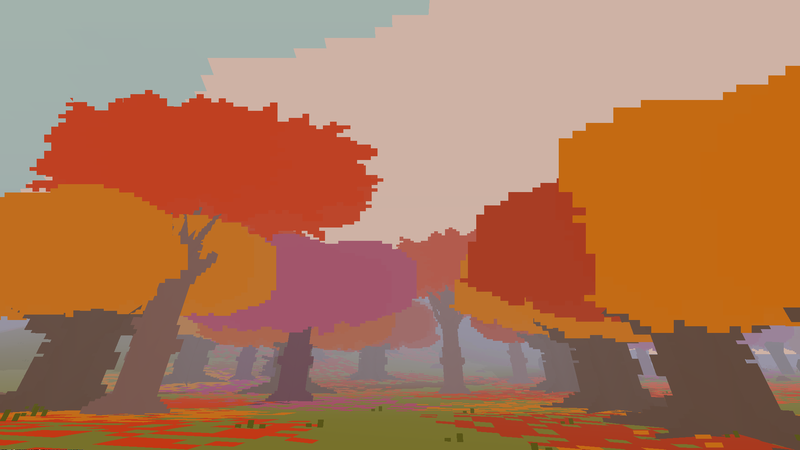 Proteus, published by Curve Studios, is an interactive experience in which you move an invisible character around a low-fi, 8-bit impressionist world, a world that advances and morphs without regard for your presence. 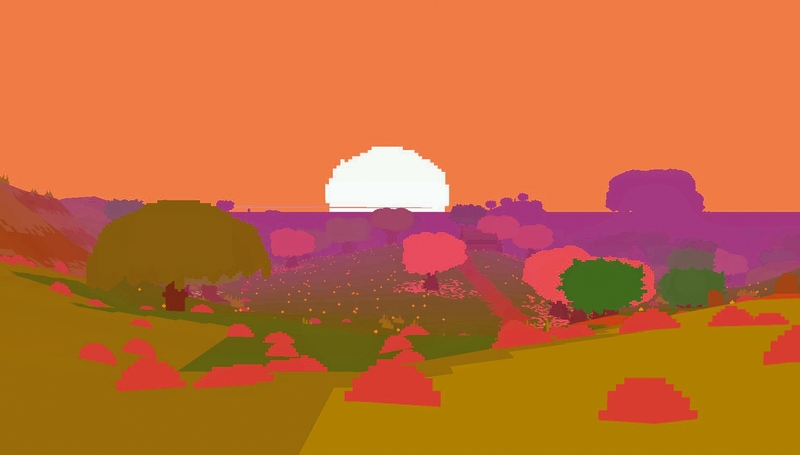 You can press a button to shut your eyes, but it makes no difference: in Proteus the world always carries on. I played Proteus on the Playstation Vita, but Proteus isn’t a game. It would be more accurate to say that I explored Proteus. There are no game mechanics at work here: no rules to obey, paths to follow, keys to find, switches to pull, or enemies to defeat. There is only the world. And what a world. It looks like a cross between Granny’s Garden on the BBC Micro and those cardboard trees that grow crystalline foliage when placed in water. On an island surrounded by endless seas, you will move past trees, budding flowers, the occasional bouncing animal, and a few signs of former habitation. The world changes as you move through it. It passes through four seasons, from spring to winter. You may watch as the world grows bright and lush, then falls dim and decays to nothing. The seasons advance semi-automatically: after a certain amount of time in the world, you are pulled towards a mysterious stone circle where time moves forward much more rapidly. As time passes, tall rectangular stones planted in the ground, initially few and far between, increasingly cover the island. They look like nothing except gravestones. Indeed, death is a recurring theme in Proteus, as we see not only the world itself dwindle with the approach of winter but we see evidence of former life and even civilisation discarded and ruined on the island. An island world, indifferent to people, where constant change obscures the goal: it exists like a surreal dramatisation of the ancient Greek myth of the god Proteus. Son of Poseidon, the Proteus of legend was a changeling spirit of the sea, flowing like liquid from one form to another. Able to see the future, Proteus would change from animal to plant to water, to avoid being caught by humans anxious to gain his knowledge. In The Odyssey, Menelaus sought after Proteus on an island, desperate for an answer from the gods. While Menelaus was eventually able to capture the Old Man of the Sea, it’s not entirely clear how Proteus-the-game resolves itself. The experience ends with the close of winter, the player’s character whisked into the air and drawn towards the moon on a clear night. Vision fades to white, and you are returned to the title screen. What does it all mean? What’s the point of living in a world that you cannot affect, a world that changes with or without you, a world that spits you out at the end as though it has better things to be getting on with? I think Proteus is saying three things. First, to experience something is significant. We do not have to control or even affect a situation for our experience of it to matter. While we might not change the world, the world can change us. Experience of life and death, of past and future, of summer and winter: if these things affect us only internally, that is enough. Second, the future is not bound by the past. A world that continues regardless of our actions is a world immune to the worst of us. Human civilisation can get itself into some real messes, but the worst we can leave behind is a trail of grave markers. The world will go on, new people will come and new civilisations will rise. Death offers an opportunity for rebirth and renewal, a chance to do things differently, without the confines of legacy or tradition. Third, persistence in the pursuit of truth is worthwhile. With even the flimsiest of goals, Proteus pushes you onwards and upwards. From the sea to an island. From the shore to the mountains. From being lost to knowing where you are. From here to the stone circle. From season to season. From the earth to the sky. From beginning to end. 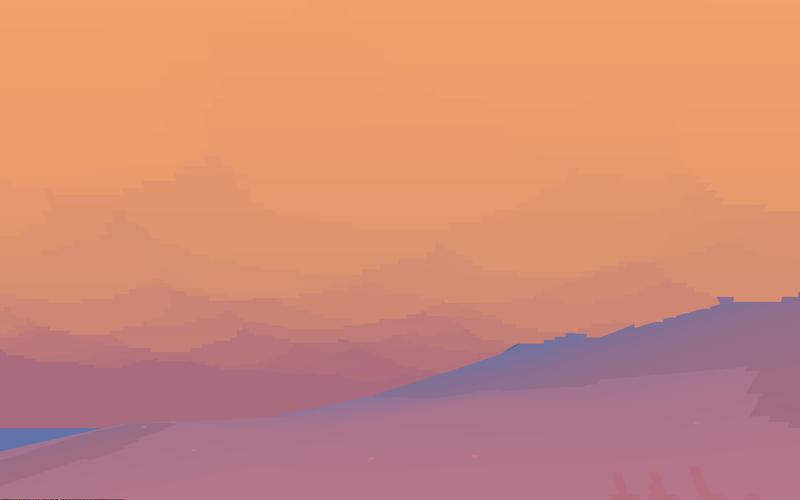 Proteus wants you to move forwards; it wants you to explore and master its world; it wants you to keep coming back; because it wants you to ascend into the heavens. 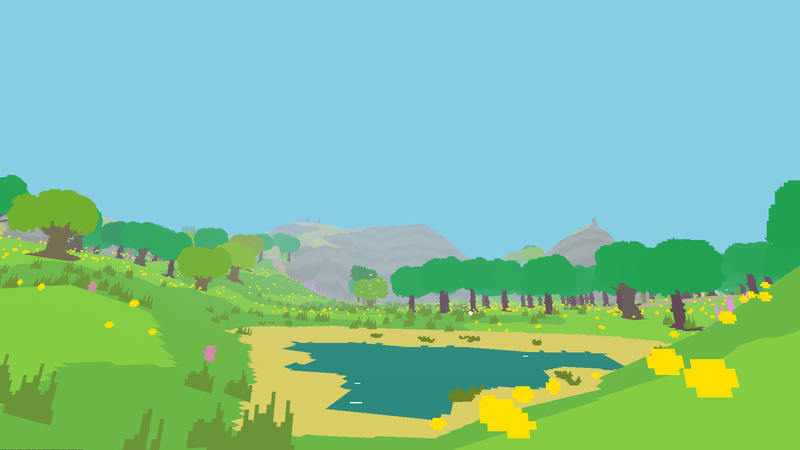 And as we leave behind the weird world of Proteus, what truth have we learnt? That the biggest game is played on the inside, not to change the world but to first change ourselves. Technology marketer, gadget lover, media enthusiast. Quite the opposite. Conceptually, Minecraft is a flurry of user-driven activity while Proteus is enforced tranquility. Environmentally, Minecraft can be reshaped to your will while Proteus changes without your input. Technologically, Minecraft is low-res textures wrapped around 3D polygon blocks. Proteus is 2D sprites in a 3D arrangement.